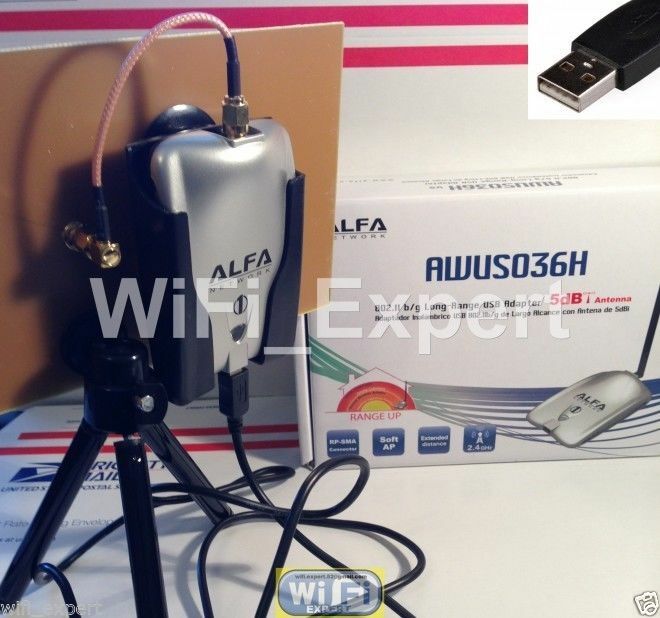 Includes: 1 (One) Double BiQuad Antenna with 6 inch jumper cable RP-SMA Male connector on a tripod with Alfa Long Range AWUS036H 1000mW B/G Network adapter in retail package. Will work on any computer with USB2.0 (Windows/Mac/Linux). 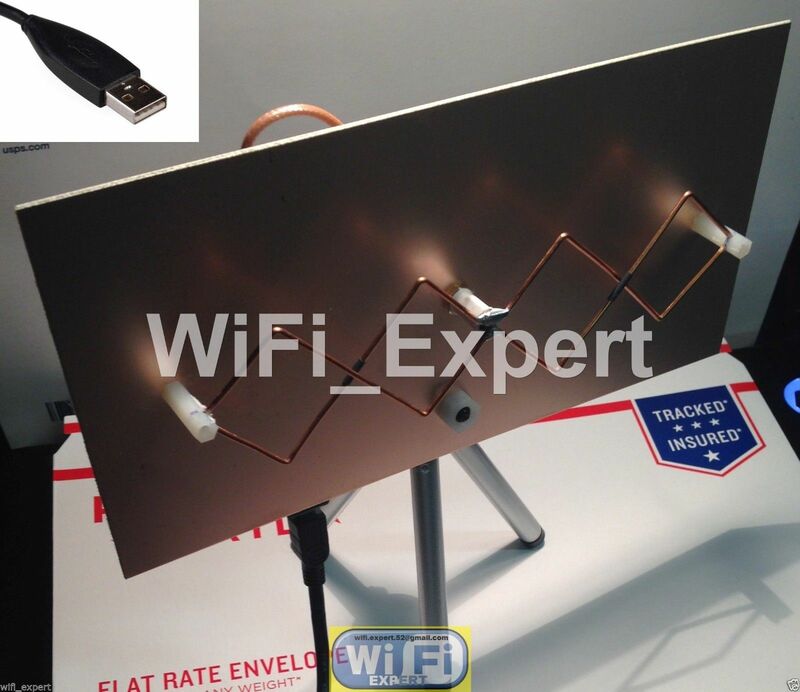 This package enables you to pick up FREE HOT SPOTS from long range locations and use internet on your PC for FREE! Double BiQuad ‘Mach 1’ VERSION 2 + ALFA G stand alone unit. This is a complete set and requires nothing else to work. 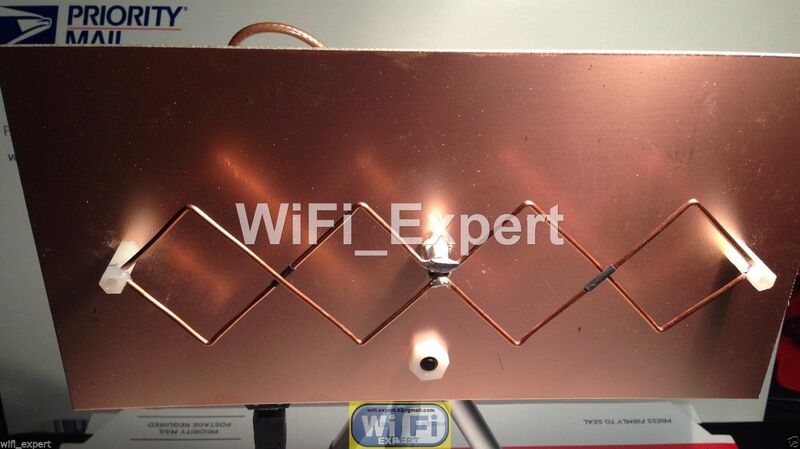 This Double Bi Quad Antenna is specifically made to be used with any network card or router that uses RP-SMA connector (Alfa Network card is equipped with RP-SMA). 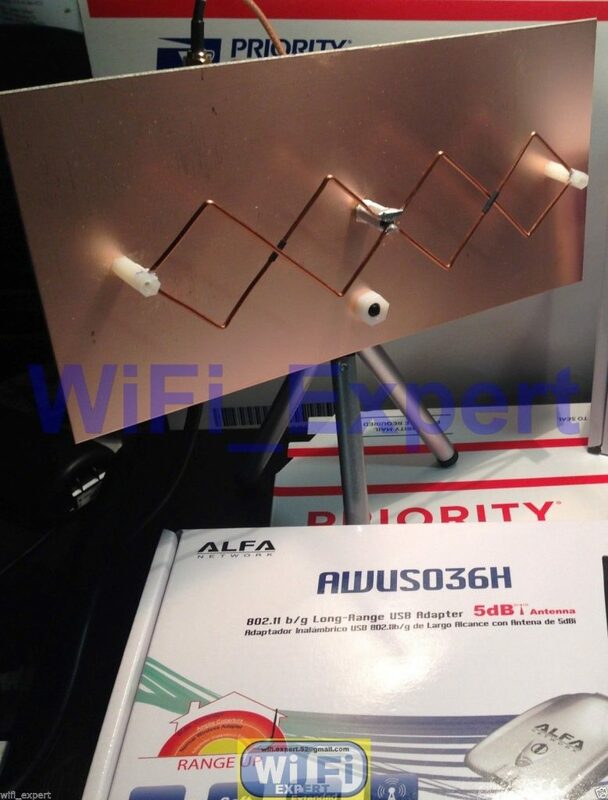 You will get one Double BiQuad antenna with 6 inch RP-SMA jumper cable as seen on the picture and one Alfa Long Range AWUS036H B/G Network adapter SEALED in retail box with suction cup holder. Includes 1xNetwork Adapter, 1x5dBi Antenna, 1xUSB cable and 1xCD plus for limited time you will get 1xCase with suction cup.